STAMFORD, Conn., July 26, 2018 (GLOBE NEWSWIRE) — SoldierStrong, a nonprofit organization dedicated to providing advanced medical technologies to veterans, has joined forces with the Fraternal Order of Eagles–Iowa State Aerie & Auxiliary to donate an EksoGT™ exoskeleton to Younker Rehabilitation at Iowa Methodist Medical Center. The robotic exoskeleton is used in rehabilitation to help people—including veterans—who have had a stroke or spinal cord injury walk again. 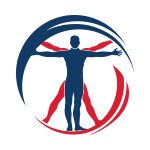 Younker Rehabilitation, part of UnityPoint Health – Des Moines, will host a donation ceremony and a patient will demonstrate the exoskeleton on Friday, July 27th beginning at 10:30 a.m. Iowa Governor Kim Reynolds will provide remarks at the event. “We are excited about the addition of the EksoGT at Younker Rehabilitation for our patients to improve their ability to function and become as independent as possible,” said Dan Shamir, MD, medical director of Younker Rehabilitation. “For over a century, our mission has been to help provide adequate care to those who need it most. We’re extremely proud to know that through the work of more than 10,000 Fraternal Order of Eagles members across the state of Iowa, the patients of Younker Rehabilitation will have access to the quality of care they deserve,” said Carl Burnett, Grand Worthy President of the Fraternal Order of Eagles. 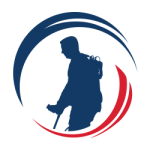 This donation marks the 16th exoskeleton SoldierStrong has donated to rehabilitation centers and Veterans Affairs hospitals. UnityPoint Health – Des Moines provides comprehensive, coordinated care to patients throughout the Greater Des Moines area through our clinics, hospitals and home care services. UnityPoint Health – Des Moines includes Iowa Methodist Medical Center; Iowa Lutheran Hospital; Methodist West Hospital; Blank Children’s Hospital including pediatric sub-specialty clinics; Grinnell Regional Medical Center, John Stoddard Cancer Center; Eyerly Ball, UnityPoint Clinic; UnityPoint at Home and UnityPoint Hospice. UnityPoint Health – Des Moines has more than 7,500 employees and 850 physicians providing care to care to patients throughout central Iowa. 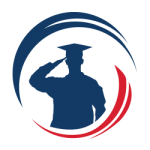 The Fraternal Order of Eagles unites fraternally in the spirit of liberty, truth, justice, and equality, raising nearly $10 million annually through the FOE Charity Foundation for service organizations and research institutions across the United States and Canada. Our 1,400+ locations throughout North America offer all service men and women, active or retired, their first year of membership free as a thank you for their service.